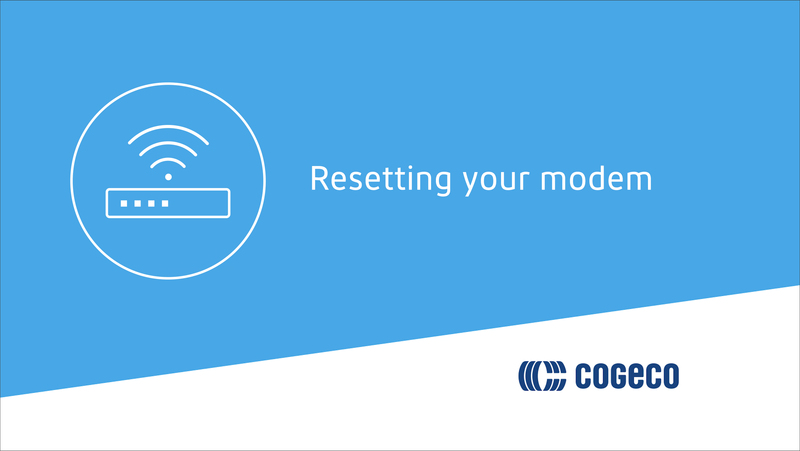 To reset your Cogeco modem, insert a straightened paperclip into the “reset” or “reboot” hole located on the back of the modem. Press the paperclip in for 3 seconds, then release. The modem will try to resynchronize with the Cogeco network, which can take up to 2 minutes.